Ever since his debut in The Amazing Spider-Man #129 back in 1974, Frank Castle has had a huge impact upon the Marvel universe. Known by his better name, The Punisher, Castle is bar-none the most deadly superhero without any powers. Even when he’s acting in a manner unbecoming of most heroes, Castle is still a fan favorite and there’s little Marvel has been able to do to shake his core base. If you were to equate him to a WWE superstar, he’s The Undertaker. The analogy works on so many different other levels, too. The franchise has already spawned three live-action films, several video games, and a critically acclaimed Netflix series. There’s no denying The Punisher’s success even though the shows and films are gritty, dark, violent, and brutal. While Marvel’s Netflix show The Punisher is getting all the attention right now, the richness of Castle’s history can be found within the pages Marvel’s illustrious comic books. This character has produced some of the finest storylines Marvel has ever churned out, especially to very adult storylines that other characters couldn’t tackle. 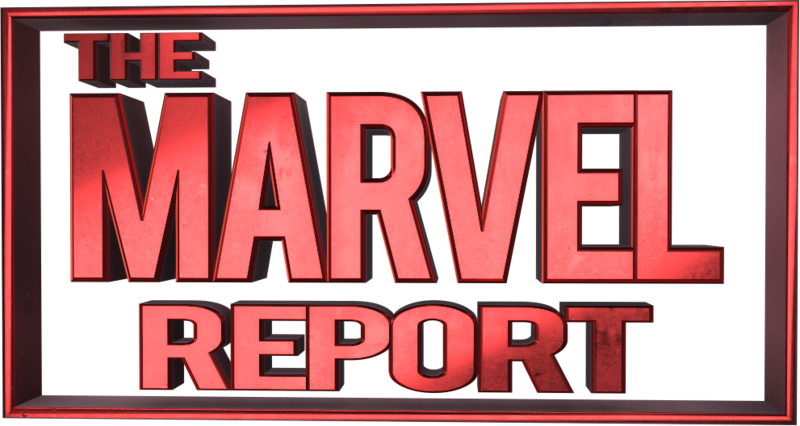 Given that interest in the character is at an all-time high, we figured it would be worth our time over here at The Marvel Report to pen a column on some of Castle’s best stories. To accomplish this, TMR reached out to their resident Punisher-stan, me! Okay, I reached out to them because I freakin’ love Frank Castle and wanted to share some of what I love about him with the rest of you guys. This was my chance to pass over the usual suspects and present you with some unique and fun stories that you may have never checked out before this column. So, here are five of my favorite must-read story arcs involving Frank Castle. I’ve also included a few honorable mentions as well as suggestion on where to read all these fantastic books. Cosmic Ghost Rider is a series recently launched by Marvel that pair a Ghost Rider-enabled and Cosmic-powered Frank Castle with Thanos at the end of the world. Having died and gone to Asgard, Odin decides that Frank Castle isn’t a very grateful human being and decides to send him back to a point in time of his choosing. Castle chooses the birth of Thanos and kidnaps him before he can turn into the evil sociopath we all know and love. The plan has… well, it has issues. It doesn’t work out as anticipated and it’s all hilarious. Written by Donny Cates with Dylan Burnett on art, Cosmic Ghost Rider is a much different brand of Frank Castle than we’re used to seeing. The art is a bit more on the funny side and the facial expressions are also exaggerated for humor value. The series is short and sweet, five parts in total, and it does a good job of tying into Cates’ Thanos series, which is where the character was first introduced. All in all, this is one of the rare times where a caricature of Frank Castle is as entertaining as the real thing. This is a series worth reading if only because it breaks up the monotony of the seriousness usually encountered in Punisher stories. This should be available as a digital trade under the title in our heading. Punisher Invades the ‘Nam is probably the most critical must-read on this list because it not only shows the birth of the Punisher, it also shows us where he got his signature skull logo. The story is obviously set in Vietnam and deals more with the issues of war and Vietnam than typical stories involving Frank Castle. Even though it’s set during a war, there is still plenty of Castle-esque moments in the series, especially involving The Monkey. The Monkey is a central figure in the development of Frank Castle and long-time fans of the character are more than familiar with his role in the creation of the Punisher. The series had multiple writers and multiple artists, but all of them came together to create one of the most memorable series ever written on Frank Castle. Roger Salick and Mike Harris teamed up to author the books involving The Monkey. Chuck Dixon and Kevin Kobasic took up Noon Black as Midnight, which focused more on the soldier aspect of it than the creation aspect. The Final Invasion was written by Don Lomax and drawn by Alberto Saichann and it served as a wrap-up to the Punisher in Vietnam. All three stories hit the mark, all three stories have a place in Frank’s history, and all three stories are worth reading and can be found in a simple trade under the title Punisher Invades the ‘Nam. Read it. Don’t think about it, read it. As with our first book, these stories are best purchased as a trade in either digital or paperback. Barracuda may not be the most complex or narrative-driven stories involving Frank Castle, but by God if it isn’t one of the most fun and entertaining. Barracuda is character who first appeared in The Punisher Vol. 5 #31 and his storyline goes from #31 – #36. He is a highly trained military asset, like Frank Castle. He is an expert in hand-to-hand combat and has all the drive one could need to take down their enemies. He and Frank Castle meet on several occasions with mixed results for the both of them. Outside of Jigsaw, one could make a case that Barracuda is Frank’s biggest adversary. The Barracuda storyline was was authored by Garth Ennis — as all great Punisher stories are — and drawn by Goran Parlov and Howard Chaykin. This can be found in Ennis’ The Punisher Vol. 7 #31-#36. He was originally conceived as a one-off, the character proved to be pretty popular for a variety of reasons. He’s seen other iterations due to his popularity, but the definitive run involving the character can be traced back to the Punisher MAX line of comics. Barracuda is just one amazing example of great characters from the MAX series. Welcome Back, Frank is easily one of the best stories ever written involving Frank Castle. The story welcomes back Frank under the Marvel Knights imprint. Frank had previously been ‘killed off’ but he comes back living in squalor and filth under a pseudonym to take his war on crime to the Gnucci crime family. This series features Frank punching a polar bear and I dare you to find a better way to dispatch an enemy in a comic book than by punching a freakin’ polar bear. This arc is without a doubt a must-read for anyone who loves the Punisher. The series was written by Garth Ennis and drawn by Steve Dillon. The Punisher ran from April of 2000 to March of 2001. The book can also be found as a trade. It is considered a staple in the Frank Castle lore for many reasons, but the biggest reason is the combination of Ennis and Dillon. The two of them are basically the godfathers of Punisher stories. If you haven’t had the chance to pick up this trade, you are doing yourself a huge disservice. This run was also the inspiration for the 2004 ‘The Punisher’ film starring Thomas Jane and John Travolta right down to Spacker Dave, Bumpo, and Jane. The last arc to make our list is Valley Forge, Valley Forge from the MAX imprints. This can be found in Ennis’ The Punisher Vol. 7 #55-#60. This story is set half in Vietnam during the war and half in the present. A group of eight generals has decided to enlist the military to bring down Frank Castle. Nominating himself for the assignment is a special forces commander by the name of Colonel Howe. The story also involves a book written by a survivor of the aforementioned time in Vietnam. I shan’t ruin the specifics of it, but it’s some of the best writing done by Ennis. This story is real, it matters, and the story is driven by the story rather than by the action. As usual, Garth Ennis is the writer of this story. The artist is Goran Parlov. The content is very adult, nuanced, and built around real issues here in America. This might be Ennis’ coup de grace, as it was one of the final Punisher stories he wrote, but he seemed to save the best for last. The Punisher MAX imprint is the definitive work involving Castle and stories like this are fundamental to the success of the imprint. Well, there you have it… If you were hoping for some fresh content involving Frank Castle, I sincerely hope to have blessed your life. This article took forever because I actually decided to read these stories again as I was writing about them. Frank is a guy with a complex history and is by no means a good guy. But there is something so compelling about a character that is evil personified but cocked and aimed at evil itself. Part of us wishes we had someone like this on our side, but these stories really explore what that would mean in great detail and… well, Frank is a guy you’ll just have to pin down on your own terms, but these stories should help you get there! Going through my favorite Punisher stories was a task I wasn’t prepared to undertake. As I took inventory, I was legitimately blown away by the number of storylines involving Frank that I loved and have read on multiple occasions. I was trying to compile a list of just five and wound up with a list of 15 and that was after I eliminated some for the sake of space. It’s like when someone tells you to pick a list of your favorite songs, but then tells you that you can only choose three of them. It really is an impossibly unfair task. But the show must go on, as the old adage goes. It’s also worth providing some space to the honorable mentions. These are stories that didn’t quite make my list — I had to narrow it down, they told me I couldn’t list all 150+ stories — but are worth checking out if you get some spare time. Marvel Unlimited is really a must-have if you’re able to afford the ~$115 a year or $9.99 a month for the service. If you’re unfamiliar, it essentially functions as a Netflix of digital comics for Marvel. There are tens of thousands of books online and copious amounts of Frank Castle. Just as an aside, they do not sell any of the Punisher MAX comics in digital form. But without further ado, let’s explore the honorable mentions of Frank Castle’s long and storied career. Becky Cloonan’s run of The Punisher from issues #1-#12 were some of the greatest and most inventive uses of Frank Castle ever. How on earth nobody had thought to pair Frank going on a murderous rampage with someone older than Angela Lansbury is beyond me, but Becky Cloonan took care of a problem I didn’t even know I had prior to reading that run. The problem? I had not seen Frank team up with someone geriatric to ride around on a motorcycle killing baddies. Similar to Cloonan, Greg Rucka’s run on The Punisher in 2011 was fantastic. It introduced the world to Rachel Cole-Alves — she took her husband’s last name — and she’s been the best addition to the character’s life since Micro. This arc focuses on Cole-Alves wedding being shot up and she’s the only survivor of about 30 people. Her and Frank end up running into each other while tracking down the killers and they partner up to finish the job. It truly is one of the most invigorating arcs involving Frank Castle. Goin’ Out West is another fantastic story involving Frank Castle because it also involves G.W. Bridge and the Winter Soldier. Frank Castle tries to infiltrate a white supremacist group because they are using the symbol of Captain America after he died in Civil War and anyone who knows Frank’s history knows that you do not disrespect Steve Rogers. Of course, Bucky isn’t thrilled with the idea of Frank wearing a suit similar to Cap either and that brings him and Frank into conflict with one another. Trade is your best best on this one. It’s sold digitally. Finally, The Tyger is truly a must-read for any fan of Frank Castle. It’s based off the poem The Tyger by William Blake, which is a fantastic read itself. The central theme of the poem focuses on the creation of the tiger and its raw power and ability. Similar to the creation of the Punisher, the tiger is a primal creature with killer instincts and the sheer force to pull the task off. Garth Ennis combines with John Severin to take us back to the 1960’s to witness the creation of the Punisher through the lens of a young Frank Castle. Without divulging too much, the story deals with the growth, maturation, and fundamental values of Frank Castle as a human being taught by his parents to deal with very adult issues. As with all MAX imprints, you won’t find this digitally but it can be found in Ennis’ The Punisher Vol. 7 under the name The Tyger. So many stories, so many deaths, and so many great writers in the world of Frank Castle. Much of what makes him unique is that Frank Castle could really be any of us. As Frank said to Matt Murdock in the second season of Daredevil, we are only “one really bad day away from being Frank.” It’s not hard to put yourself in Frank’s shoes following the brutal murder of his family. He is what he is because he was made to be that way. Even going back to Vietnam and his childhood, Frank has been surrounded by murder and tragedy and finds an outlet for all of it. That’s what makes his character so appealing to me.